Caitlyn Jenner accepted the Arthur Ashe Courage Award at this year's ESPYS. LOS ANGELES -- Caitlyn Jenner, formerly known as Bruce, accepted the Arthur Ashe Courage Award at this year's ESPYs on July 15 to a standing ovation. The award is given each year to an individual whose contributions transcend sports. "Please be kind on me, I'm new at this," said Jenner following a 14-minute long presentation on Jenner's life and career leading up to her gender transformation. Jenner took the time to speak about the dangers transgender persons face in society, citing the high suicide rate and several recent murders of transgender women in the U.S.
"Trans people deserve something vital," said Jenner. "They deserve your respect." Amidst tears, Jenner thanked her family for their support, saying she hopes she can make her children proud. Much of Jenner's family was in attendance of the ESPYs, including all of her children. The award was presented to Jenner by two-time Olympic gold medalist and former 2012 FIFA World Player of the Year Abby Wambach, who recently helped the U.S. win the 2015 FIFA Women's World Cup in Vancouver, Canada. Wambach and her wife, Sarah Huffman, shared a kiss after the Women's Team's victory against Japan was sealed, a moment that went viral across social media. The award handoff between the two famed gold medalists, according to an ESPN spokesperson "is significant for the LGBT movement."
. @Caitlyn_Jenner's #ESPYS speech was A LOT more brave & courageous than the losers who spew their hate behind a computer screen/cell phones. #CaitlynJenner is amazing! You go girl! #ESPY #ESPYS @Caitlyn_Jenner #TransIsBeautiful Thank you for being a wonderful role model! 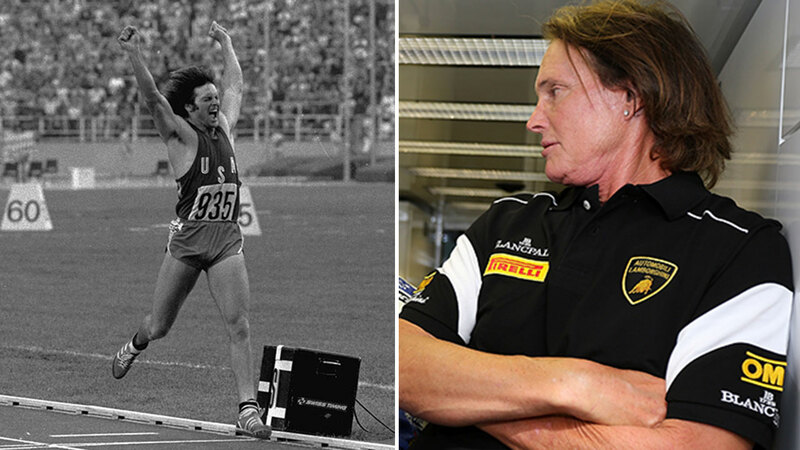 "Bruce has received many accolades over the years for being one of the greatest Olympians of our time, but The ESPYS are honored to celebrate Bruce becoming Caitlyn," ESPYs executive producer Maura Mandt said in a press release when it was announced Jenner would receive the Arthur Ashe award. "She has shown the courage to embrace a truth that had been hidden for years, and to embark on a journey that may not only give comfort to those facing similar circumstances, but can also help to educate people on the challenges that the transgender community faces." Bruce Jenner won a gold medal for track at the 1976 Olympics. Since then, Jenner has become a reality TV star and the focus of much media attention. Tune in Friday for an exclusive interview with Diane Sawyer.